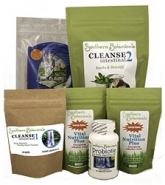 Intestinal Cleanse 2 is a safe, natural way to soothe and detoxify the intestinal tract. When wastes remain in the colon too long, remaining toxic substances can be reabsorbed back into the bloodstream and affect other organs as well. Relieving the overburden of wastes enables nutrients to be better absorbed, with increased energy and helping the overall body's pH balance move to slightly alkaline. 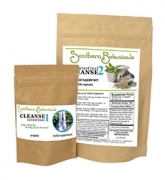 Intestinal Cleanse 2 is a gentle yet powerful way to aid your body in removing accumulated wastes. Natural clay, apple pectin and activated charcoal pull the wastes from the intestinal walls while detoxifying the tract and neutralizing acidic wastes. 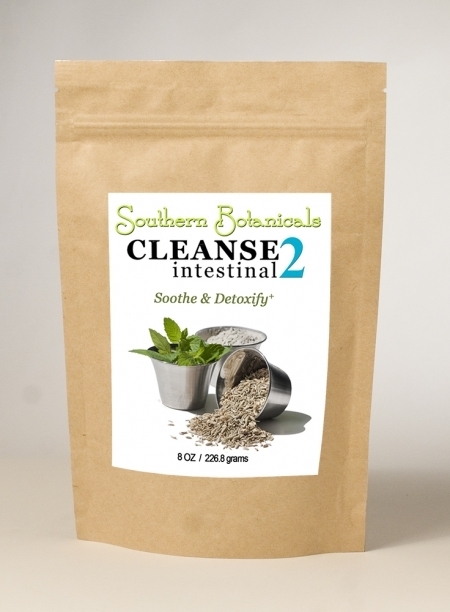 The high fiber in Intestinal Cleanse 2 provides gentle bulk for good solid bowel movements, while the herbs are soothing to the mucus membranes and walls of the digestive tract. I like the Intestinal Cleanse #2 so much. I like to use it all the time, all my life. I feel wonderful with it and my poop is just great. When I travel anywhere, I can have a hard time finding good, fresh food- airport food is terrible. I make sure to take Intestinal Cleanse #2 so I don't have any problems during my flight out or coming back home and everything is smooth. Ron, the founder of Southern Botanicals, what would happen if I didn't know you. You are able to help me so much, with everything you show me. 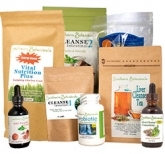 - R. E.
I am 86 years old and recently my daughter gave me a bag of Intestinal Cleanse #2 which I had heard about, but I am very cautious of taking anything new as it might set off the heart arrhythmia or cause other problems. She gave me a cup of water with a teaspoon of the Intestinal Cleanse #2 powder stirred in. I was surprised that the taste was pretty neutral and I managed to drink it all. Within 20 minutes I felt a little better and calmer. Then 3 hours later something changed, my stomach no longer hurt. I felt so much better - completely different. I felt human again! This morning I had a very good bowel movement something that I have not had in a long time. It is wonderful. I feel like doing things again, I have the energy to do things as well. Thank you, I am going to continue to take the Intestinal Cleanse #2. - R.S. I'd like to tell you about the dramatic and effective results my father achieved while using your formulas, specifically: Intestinal Formula #1 and #2, Heart Tonic and heart Tea, and Vital Nutrition Plus. Before taking these herbs, he was told that he would need an operation to unclog his arteries (14 years ago he had a triple bypass). After being on a modified program of one month of the above herbs, and after a stress test, the doctors were amazed that a sufficient amount of the blockage was gone. Thus, he would not require surgery. He no longer gets pain in his chest and he is doing more exercise than in the past. In addition to the herbs, my father is faithful in doing the hot and cold hydrotherapy that is recommended in the Incurables Rescue Program as well as fruit and vegetable juicing. I feel a lot lighter and my mental faculties are clearer from using formula No.1 & No. 2 twice a month, one week and then two weeks later. I am a spiritual counselor and have the given people I work with this too. Atonement of the body helps, it gives me more energy to move and loosens blockages. - J. H.
I have lost 15 lbs. My blood pressure is at a good level. 1st impression of IC2: Doesn't smell bad, just like charcoal powder I guess? Doesn't harden quickly, that's nice. Taste is almost like some OTC fiber laxative mixes but without flavor additives or anything and is much easier to drink because it doesn't thicken so quickly. It's nice to have a more fluid drink especially since I'm taking it 3-5x/day. I just started it so I don't have any feedback to report aside from being able to say that there are no adverse reactions so far. Ingredients (*Organic, +Wildcrafted): Psyllium husk*, Psyllium seed*, Bentonite Clay (Montmorillinite), Apple Fruit Pectin*, Flax seed*, Marshmallow root*, Slippery Elm bark*, Activated Willow Charcoal, Fennel seed* and Peppermint leaf*. The powerful, effective, natural ingredients in Intestinal Cleanse 2 work in harmony to cleanse and strengthen the digestive tract. The "Terrific Trio" of Bentonite Clay, Apple Fruit Pectin and Activated Willow Charcoal work together to absorb, suspend, and neutralize toxins in the intestinal tract. Bentonite Clay is the "Iron Man" of waste removers and can vacuum many times its weight in wastes out of the intestines. As the clay moves through the intestines, it has a neutralizing effect on toxins such as irritating acid wastes, chemical residues, as they leave the body. Apple Fruit Pectin is a hero all on its own because it pulls toxins from the intestinal walls. Chemical residues are absorbed by Pectin, which enables their elimination. Since Pectin increases the viscosity and volume of stools, it makes an ideal intestinal tract purifier. In support of these waste-removing ingredients are the soothing herbs: Psyillium Seed and Husk, Flax Seed, Marshmallow Root, Slippery Elm Bark, Fennel Seed, and Peppermint. Directions: Stir 1 heaping teaspoon of powder into 1 cup of water. Drink quickly before it thickens and follow immediately with a 2nd full cup of water. This formula absorbs liquid as it thickens to carry away toxins, so it requires plenty of water to do its work well. For a Detoxifying Cleanse: If you've had years of poor eating habits, or want to cleanse periodically for preventative maintenance, take 3 times a day on an empty stomach before breakfast, between meals and before bed for 7-10 days. The most benefit will be seen if the formula is moving through your intestinal tract throughout each day and night of the cleanse, not sporadically. 50-dose package of powdered herbs in a re-sealable, biodegradable, environmentally-friendly bag. This large 8 oz package is enough for a full 10-day Cleanse, or will last much longer when taken in smaller amounts as needed. For occasional short-term cleansing:Take 1 - 4 doses, as needed, according to directions above. If repeated, 2 -3 times per day works well. You can also take small amounts, 1/3 - 1/2 teaspoon in a cup of water, which acts to remove occasional gas or bloating. Taking this product without enough liquid may lead to constipation. Do not take in cases of bowel obstruction. Use as directed. The psyllium in this product may be a choking hazard if not mixed with adequate water. The absorption and effect of medications may be reduced if taken at the same time as Intestinal Cleanse 2. Consult a health professional before using if you have a medical condition, and about taking medications at a different time of day. Your Guide to Intestinal Cleansing Understanding what each part of a cleanse does can help you to get the benefits you need. 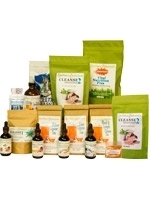 We outline what a complete intestinal cleanse program involves for an ideal cleansing experience. You can choose the intensity you want to experience.